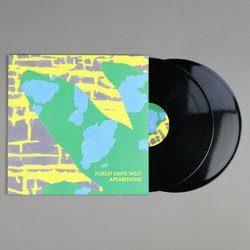 Forest Drive West - Apparitions. Vinyl LP. Bleep. 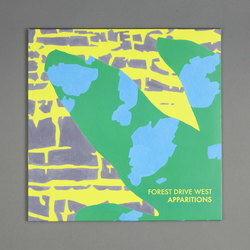 The eagerly-awaited debut LP from the mysterious Forest Drive West arrives via Livity Sound (Mosca, Hodge). Apparitions is a fascinating listen from a producer who cross-pollinates club music in extremely interesting ways. 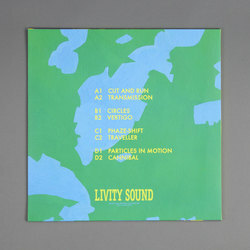 Structurally the record appears to be a mirror-image: the first and last tracks are nimble and downbeat jungle; the second and penultimate entries are murky ambiences heavily influenced by dub techno, and the middle of the record consists of four quixotic soundsystem techno takes of the sort that the Bristolian label has had a big hand in popularising over the past couple of years. This album is an exciting introduction from a talent worth keeping tabs on.